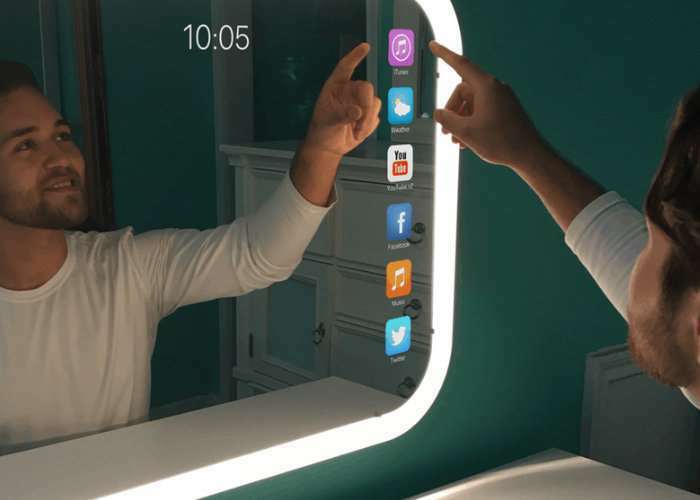 Designer and developer Stephen Bonnain has created an interactive smart mirror complete with and App Store allowing you to access your favourite services from over 500 applications. Apps include YouTube, calendar, browsers, Twitter, Uber, SoundCloud and many more. Watch the demonstration video below to learn more about this state-of-the-art smart mirror called Eve. Whether you are an early adopter, a smart home enthusiast, or new to the smart home scene, the beauty of Eve Smart Mirror is that it can work for everyone. The Eve Smart Mirror is simple and familiar, simple plug and play operation until an Eve Smart Mirror Application brings it to life. It is compatible with an ever-growing list of applications/technologies. It is easy to install and will work with different frames by easily swapping frames in and out as your needs change. Eve Smart Mirror is a new type of mirror, but it’s also the natural evolution of a product category that’s not seen much innovation in the last century. Smart home technology is already in our everyday lives… from simple thermostat comfort and energy efficiency to more elaborate security and home automation. But often the question is… where to begin? If you are interested in creating your own DIY smart mirror you can use a Raspberry Pi mini PC.